Welcome! My name is Kanon and this is my blog. I have given my life to see China reached with the light of the Gospel. I am a young man with a heart for the world and a love for Jesus Christ. Keep track of the wild journey that God takes me on as I embark on this endeavor. 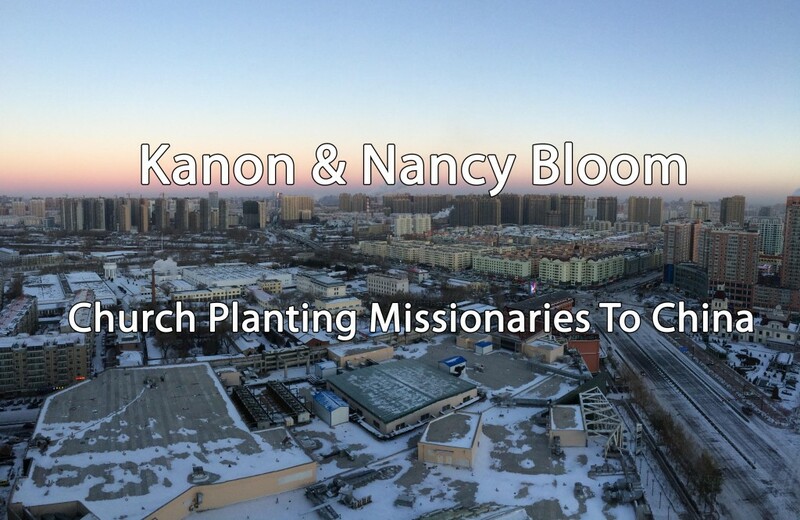 My wife Nancy and I are church planting missionaries to China. We endeavor to use our lives to share the Gospel with many people in China. We are currently on deputation raising funds to be able to get back to China full-time. Would you please pray that God would bless us on this journey? So, let me tell you how I came to have this “crazy” desire to see China reached with the Gospel. How did I come to love the Gospel & know Jesus Christ? I was born into a loving Christian home, where as long as I can remember my parents would take me to church and teach me about the Bible. I grew up knowing the Bible stories and knowing about how Jesus died on the cross and was raised from the dead, but it wasn’t personal. I knew about Jesus, but I didn’t know why I needed Him. As I began to get older, eleven, twelve, thirteen I started realizing that some of the things that I did were wicked and wrong and that God wasn’t happy with them. I thought if I kept doing those things, then I would go to hell, so I tried to stop doing those things. I would try hard to stop sinning, but I would always mess up. Finally after struggling like this for a few years, when I was fourteen I came to a breaking point and realized that I needed God`s help. I still didn`t understand the Gospel and that no matter how good I acted that I was still a hell-bound sinner, but I think God used this point to start showing me my need of a Saviour. In the next four years, I started listening to sermons that a preacher preached through the book of Hebrews and Romans. I remember him explaining how the Bible teaches that Jesus` blood is able to pay for every single sin. I finally came to a point when I was eighteen years old as I was working out in the yard while listening to a sermon from the book of Hebrews that I realized that it wasn`t about what I did, but what about He did on the cross. I realized that I didn’t measure up and I trusted in what Jesus did on the cross to save me from my sin. I trusted Jesus to make me right with God. This is how I came to know Christ. This is how I fell in love with the Gospel. It is my favorite story! How Jesus died for the sins of the whole world, was buried, and then was raised from the dead. I hope to be able to tell the millions of people in China about this wonderful news.